What can be more rewarding than the pure, innocent smile of a baby? Keep your babies smiling by keeping them dry and comfortable with Merries Tape Diapers from Japan's #1 diaper brand! Excellent Absorbency- Babies’ skin stay dry and comfortable as Merries diaper quickly absorbs urine before theskin becomes wet, which prevents rashes and leakage. 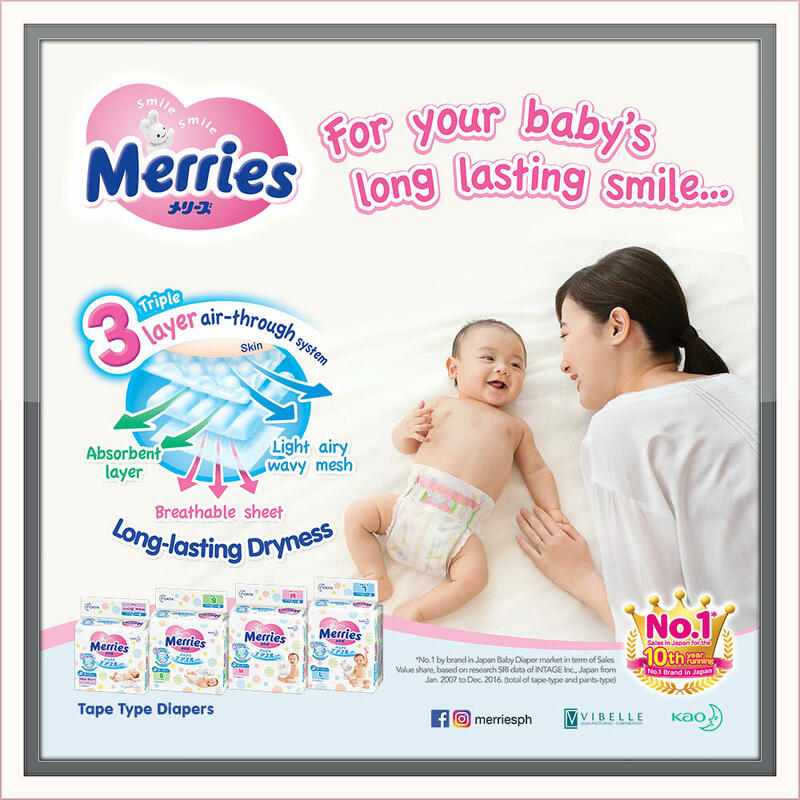 Exceptional Breathability- Merries tape diaper has a triple layer air-through system that releases the heat and moisture inside the diaper, giving the babies’ skin long lasting dryness. Gentleness- Babies’ skin has only about ½ thickness of adult and is very delicate, this is why constant friction can lead to skin rashes. Merries tape diaper is so soft and fluffy from the inside and out, it is gentle to the babies sensitive skin. Soft poo leak guard- Stay leak free with Merries diapers, so babies stay comfy all the time! Soft Reusable Magic Seal- Merries tape diaper has a magic seal that can be adjusted easily to comfortably fit to your babies. Stay worry free from leakage, wetness and rashes with Merries Diaper and let your babies show off their charm with their long lasting smile! 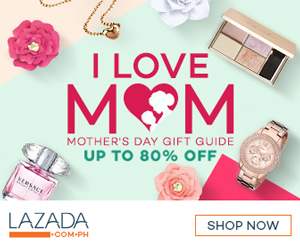 Philippines by Vibelle Distribution, Inc. and are exclusively available in Rustan’s Makati, Rockwell, Shangrila, Ayala Cebu, Seda CDO and in Shopwise Festival Alabang, Sucat, Sta Rosa Laguna.